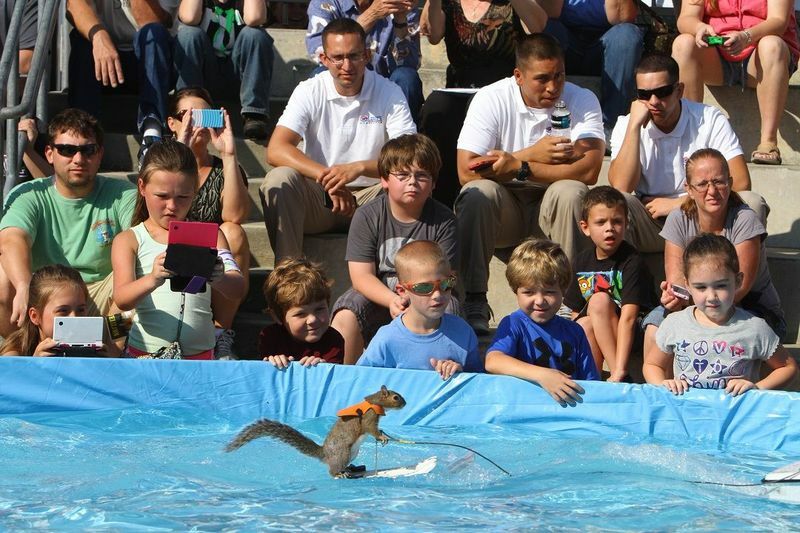 Twiggy the Water-Skiing Squirrel splashes into Charlotte Motor Speedway for two days of wave-riding fun on April 7-8 during the Pennzoil AutoFair presented by Advance Auto Parts. Paired with custom water skis and a life jacket, Twiggy will entertain fans and promote an important cause - boat safety - with handler Lou Ann Best. 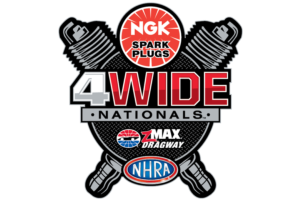 The family-friendly show will captivate spectators with one of the most unique attractions ever seen at the Pennzoil AutoFair presented by Advance Auto Parts. Lou Ann and Twiggy have set the stage for a wave of water safety messages that are rooted in Twiggy's past. Lou Ann and her husband, Chuck, rescued a small gray squirrel that had fallen from a tree during Hurricane David in 1978. Soon after, Chuck bought a remote-control boat for his daughter, but he realized the boat was best used by an even smaller member of the family. With practice, the family trained Twiggy to ski behind the boat. Twiggy's talent caught on quickly. The Sanford Herald reported on the rescued squirrel's new skill, which motivated the Orlando Sentinel to do the same. Thanks to an ever-expanding audience and a United Press International feature story, Twiggy's aquatic exploits led to an Emmy award-winning segment on "Good Morning America." The family has kept the original Twiggy's tradition alive with a long line of gray squirrels bearing the now-famous name. They've since skied around the world and made appearances in movies and music videos to entertain fans and promote water safety. Charlotte Motor Speedway will host Twiggy at the Pennzoil AutoFair presented by Advance Auto Parts on Friday and Saturday of the four-day automotive extravaganza. Don't miss Twiggy in a splashing spectacle that will make fans of all ages go nuts with shows at 10 a.m., 12 p.m. and 2 p.m. both Friday and Saturday. The Pennzoil AutoFair presented by Advance Auto Parts features more than 50 car club displays and more than 10,000 vendor spaces offering an array of automotive parts and memorabilia. More than 1,500 collectible vehicles of all makes and models will be available for sale in the car corral that rings the iconic 1.5-mile superspeedway. In addition, kids can enjoy face painting, bounce houses and other games and entertainment in the Play Zone. Single-day tickets are $11 each day for adults. Admission is FREE for children 13 and under with an adult. A four-day weekend pass is available for just $32. To buy tickets, AutoFair attendees can call the speedway ticket office at 1-800-455-FANS (3267), shop online at www.charlottemotorspeedway.com, or buy them at the gate. Keep track of Pennzoil AutoFair presented by Advance Auto Parts attractions and events by following on Twitter and Instagram or becoming a Facebook fan. Keep up with all the latest news and information with the Charlotte Motor Speedway mobile app.